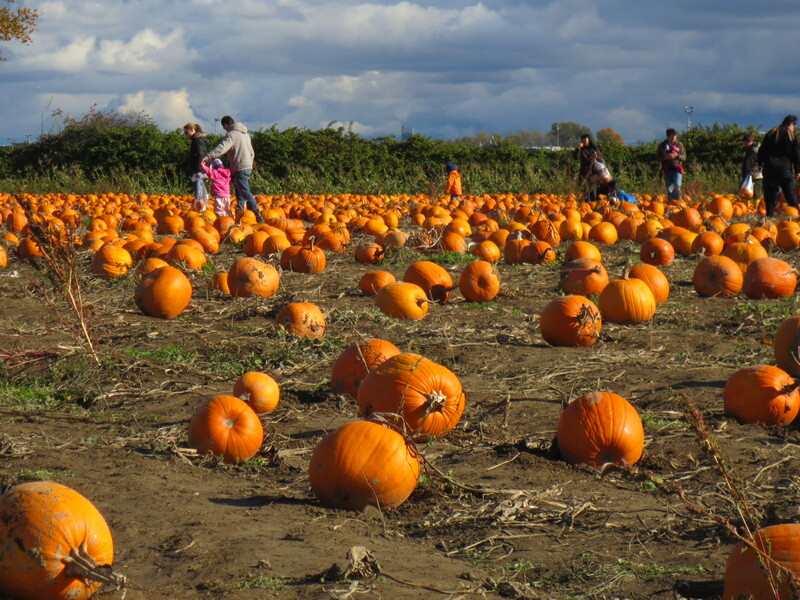 It being a gorgeous, sunny, October day, we headed out to the pumpkin patch to pick out our Halloween pumpkins. We went to one we had visited before that is on a great big farm and has a hay ride, a corn maze and the most delicious doughnuts I`ve ever eaten. To be honest, I would give up the farm, maze and hayride and pick our pumpkin off the side of the road if it were anywhere near that doughnut truck. They`re so good. 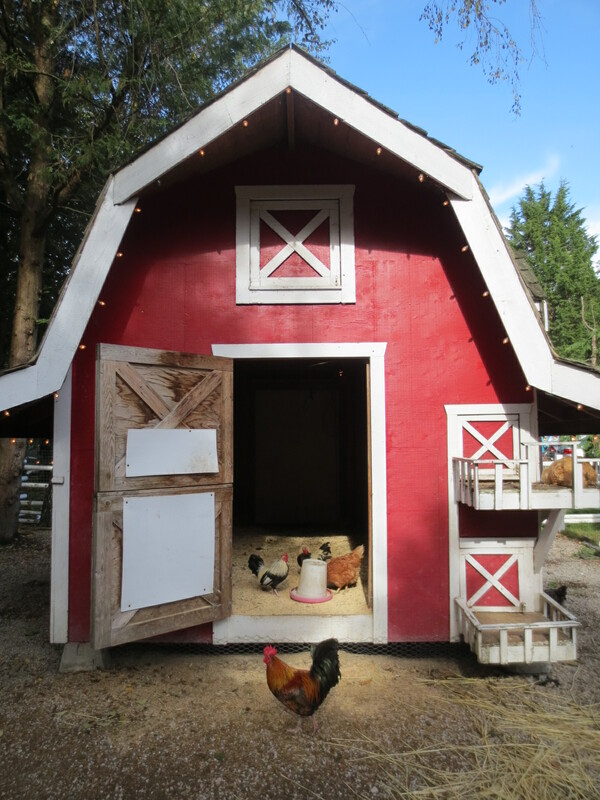 On the way in, we said hello to some chickens. Then we hit the tractor ride out to the pumpkin patch and the corn maze. Now, I`ve only been to a handful of mazes formed out of vegetation in my day (corn, hay, shrubs, what have you), so I`m no expert, but I thought that a maze was meant to try to confuse you at every turn and get you sort of lost? This simply was not that kind of maze, I guess. I`ve been more challenged trying to find my way to my own bathroom in a dark hallway than I was with this creation. The tallest part of the maze was approximatley a foot high. 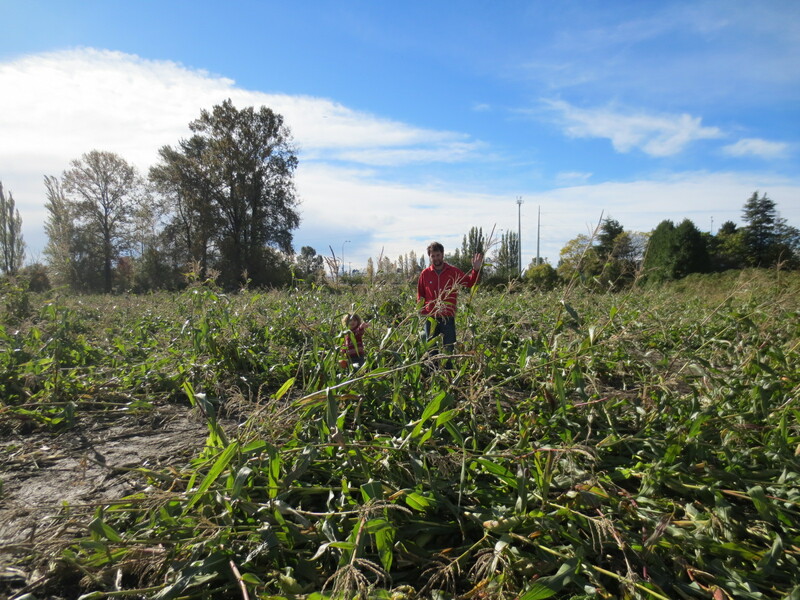 What we were essentially dealing with here was a corn ground cover really. The brave men headed in first. They had no provisions – no food, no shelter, no GPS – I feared I may never see them again. I shouted for them to wait for me, what about “leave no man behind?” I yelled, but they were in too deep, they couldnt hear me. Now they are in the middle of the maze, and I am still at the entrance. I`m happy to report that we mde it out before sundown, alive and no worse for wear. Next year I`ll pack a tent and food to see us through. So……. 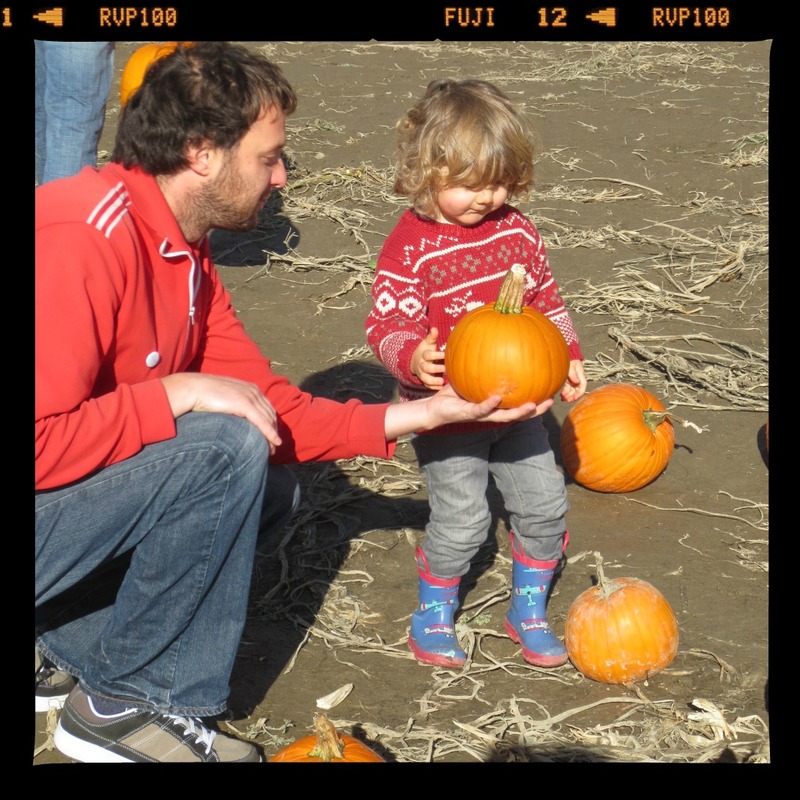 the corn maze being bit of a bust, we headed out to the pumpkin patch……and that delivered. Thomas picked the first one he saw. 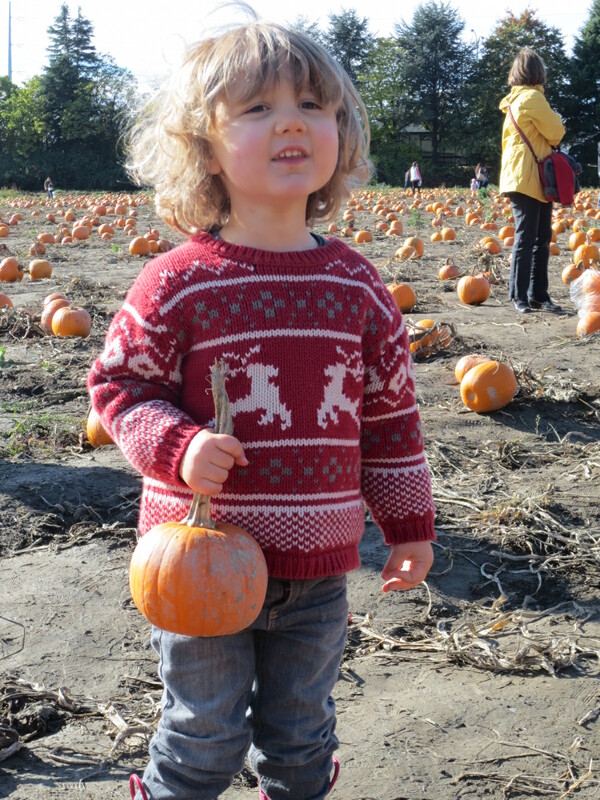 A perfect, Thomas sized, pumpkin. And then he picked out one for us. 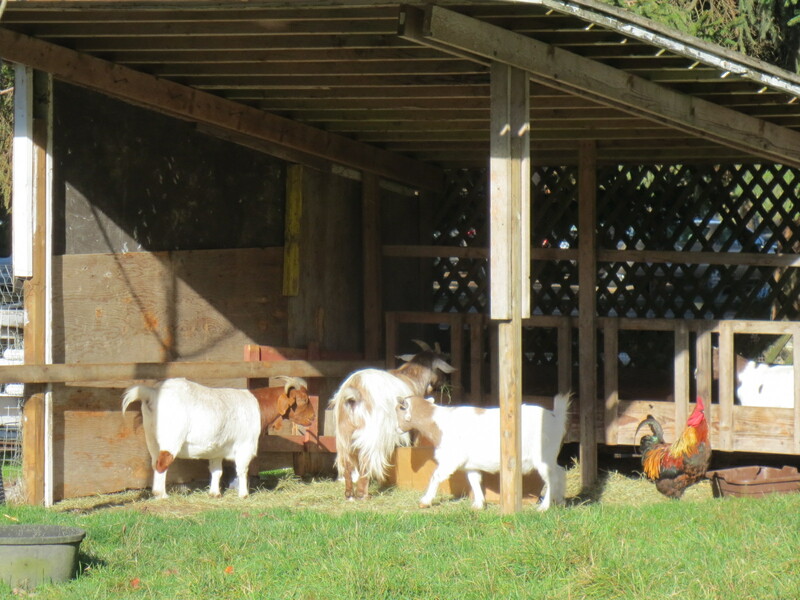 I, for one, was pleased that he didn`t dilly dally with the decisions as I was thinking of nothing but the mini doughnuts waiting for us at the other end of the tractor ride. 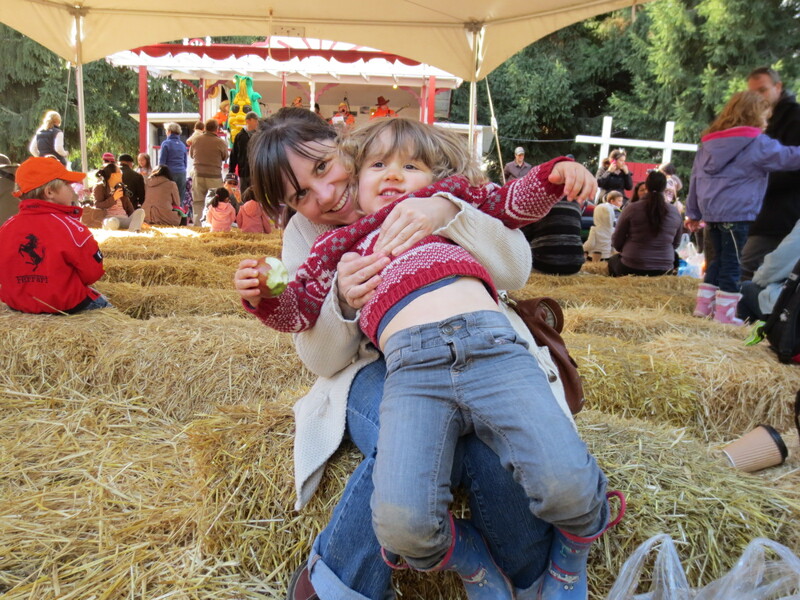 Then we rode the tractor back, singing Old Macdonald, as you do on hay rides, and beelined for the doughnut trailer. They were ridiculously delicious. We attempted some nice family pictures of our happy day. He loves having his picture taken, LOVES it. 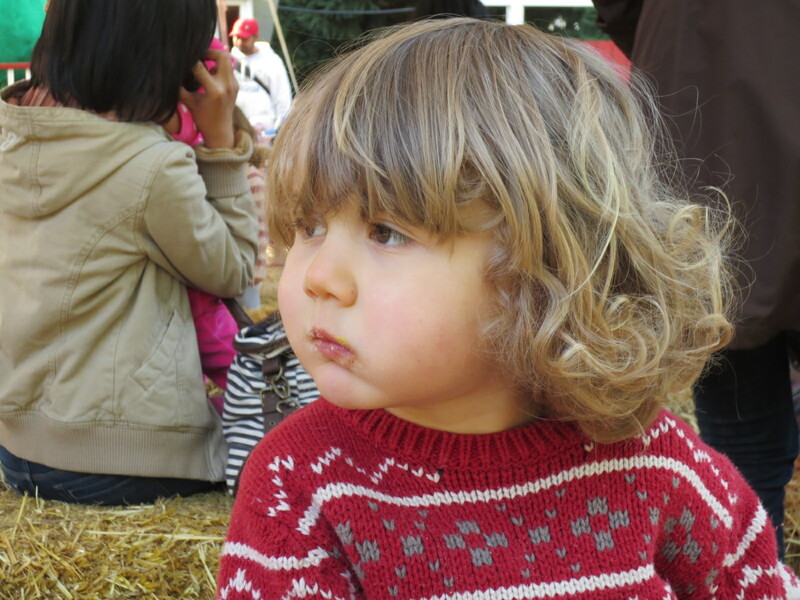 The we just sat on the hay, listening to the band and contemplating life, and doughnuts. 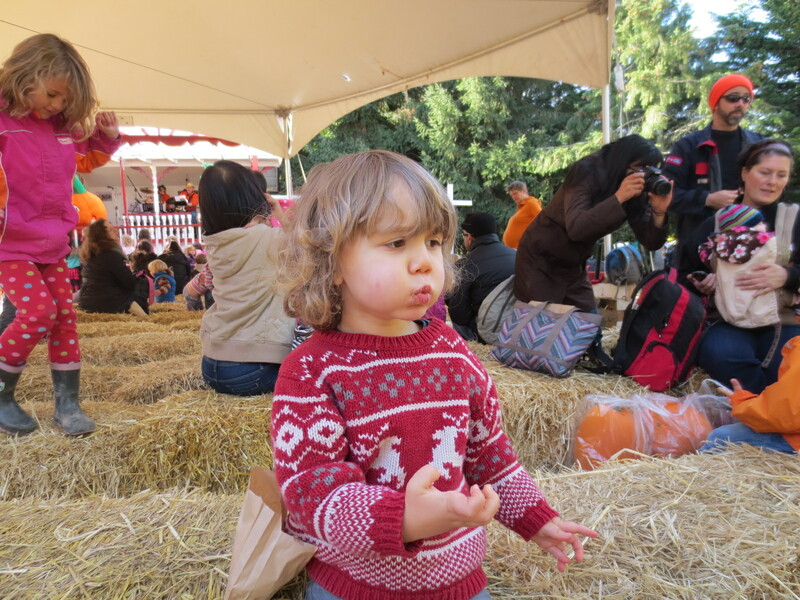 We headed home with a sugar rush and our small, but perfectly manageable pumpkins. Categories: family, food, Kids | Permalink. 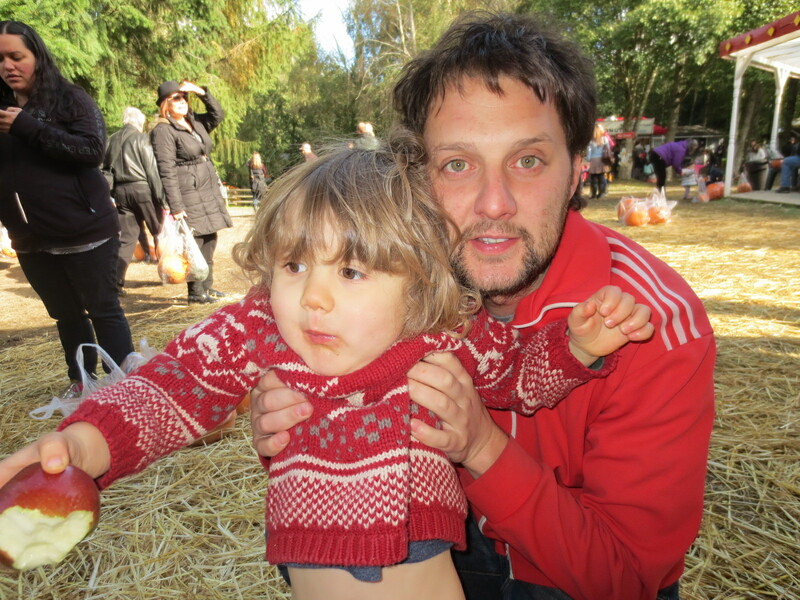 Where is this pumpkin patch- pray tell!! Just off the Steveston Highway and it is worth the drive for those doughnuts. They make them fresh and they come in a paper bag all warm and sticky. 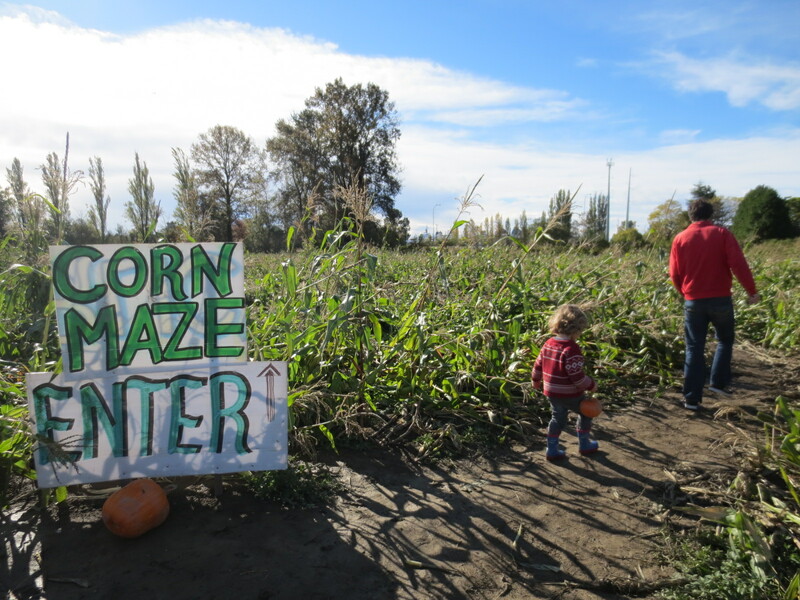 Warn me when you`re going so that if you get lost in the corn “maze” I can send out a search party.